If you want to look for houses without leaving your home, you’ve come to the right place. 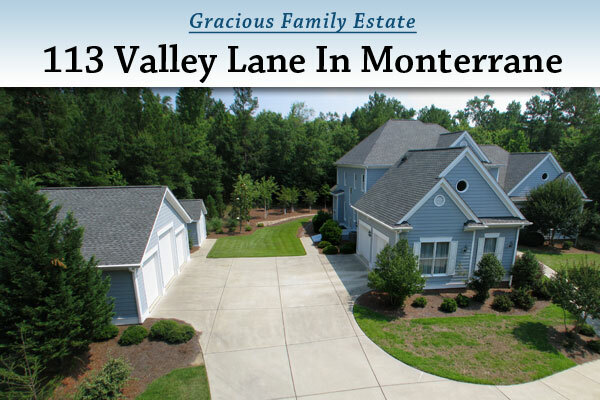 This virtual tour video relates to the post Gracious Estate: 113 Valley Lane In Monterrane. Pittsboro, NC – Maybe it’s a combination of historically low interest rates and pent up demand. Whatever the cause, I’m seeing a number of really nice houses on the market, and they’re affordably priced, too. 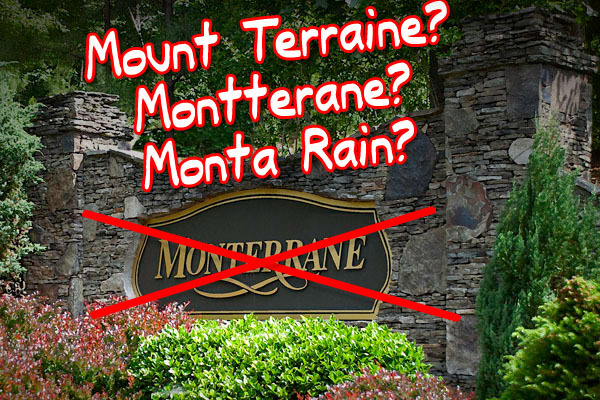 Consider this beautiful home at 45 Canopy Drive in Monterrane, one of my favorite communities in the entire Triangle. 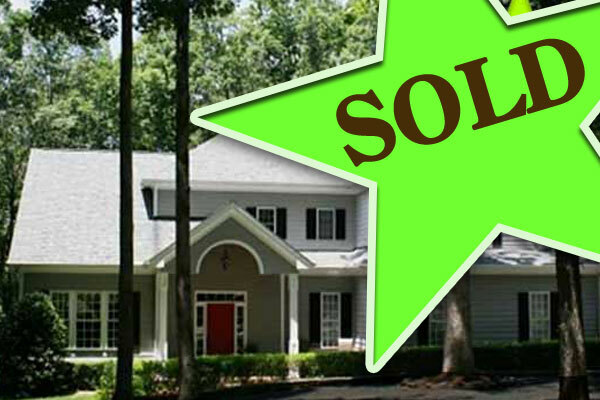 With land priced dearly in the Triangle and developers getting stingy with lot sizes, it’s unusual to find 3+ acre wooded lots, recent construction and a price tag under half a million. 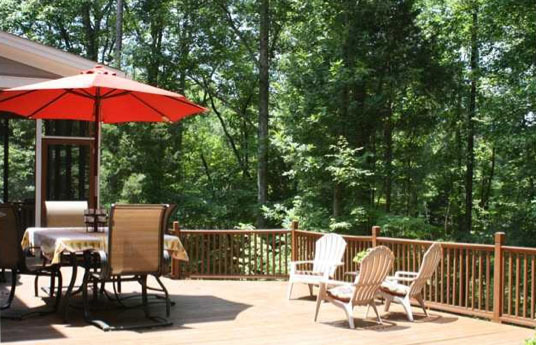 45 Canopy Drive sits on 3.46 forested acres. It was built in 2001. *Attention* This home is now listed at $424,999 for a quick sale! 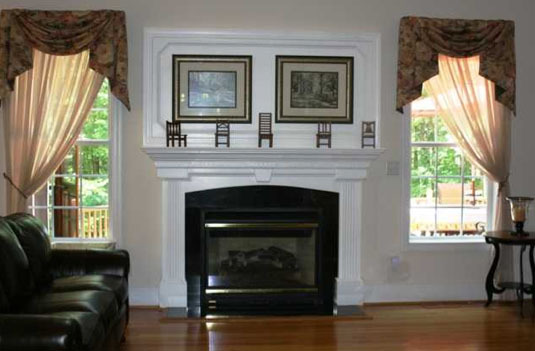 Start with more than 4000 square feet of living space – 10 rooms. There’s four bedrooms and 3.5 baths, two porches (one screened), a giant patio,living room, breakfast room, dining room, media room. You name it. 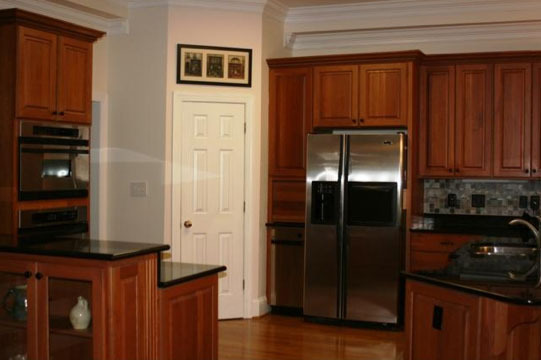 Granite counter tops and Whirlpool appliances will have you entertaining your friends and feeding your family in style. Detailed craftsmanship and woodworking throughout speak of a quality home built to last for the long haul. As I’ve written in the past, Monterrane is a heavenly neighborhood. 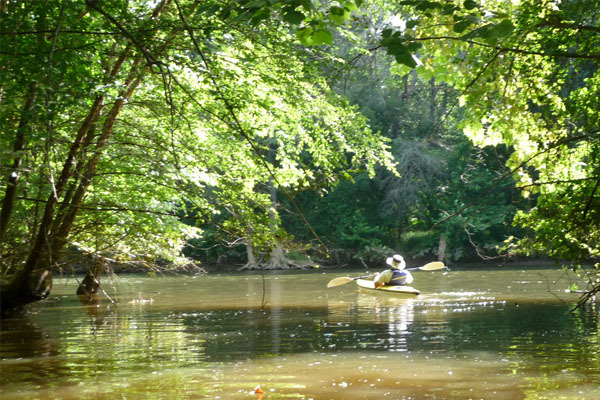 It’s ideally positioned between the Haw River and Jordan Lake. You’re in the middle of a wooded paradise, but close to Highway 64 and 15-501 for easy transportation around the Triangle. Every house has a conservation buffer and the neighborhood is crisscrossed with trails. At 45 Canopy, you’ll watch the seasons unfold from your own screened porch. Pittsboro has plenty of old-time charm. It’s been the seat of Chatham County since 1787. It’s also got plenty of excitement. There’s Urban Sampler for fashion, the General Store Cafe for live music and Virlie’s for daily dinner specials. Hungry for more? Buzz up the road to Chapel Hill, take in a ballgame or a concert in Durham, jump on a plane from RDU to London – it’s all a short trip away from your own wooded shire. As 45 Canopy Drive shows, there are some rare and wonderful properties available if you know where to look. If you want the comforts of estate living with the land to match, don’t wait on this property. 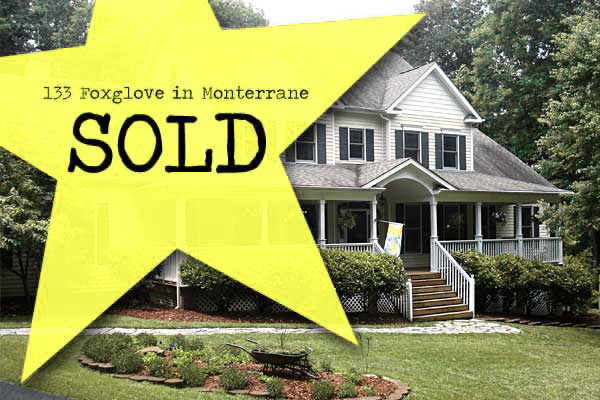 Thanks to the wine tasting and open house event this property is now UNDER CONTRACT! Get in touch for more info about this fabulous home. “Kayaking on Jordan Lake” by S. Fenton via a Flickr Creative Commons license. This spacious and open home has 4 bedrooms, 3.5 baths, large bonus room, huge playroom, an office and much more. Over 4000 square feet of living area. 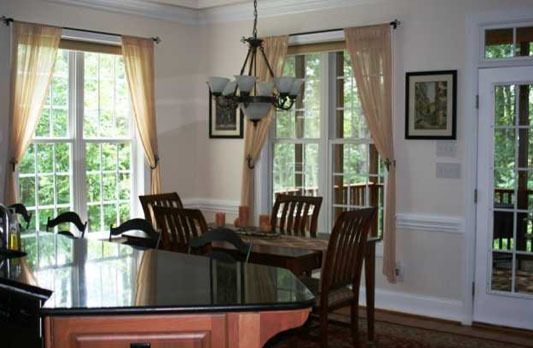 First floor master bedroom, mud room, breakfast room and two porches give you plenty of room to relax. The house has a 3 car garage, custom woodwork and lots of built in storage throughout. Well-appointed gourmet kitchen. Huge vaulted ceiling in the living room adds a dramatic touch while the generously sized fireplace lends warm and intimacy. 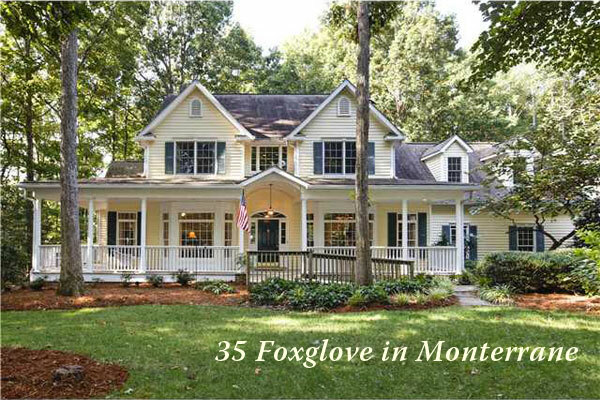 133 Foxglove is nestled on 3.55 wooded acres of property between Jordan Lake and the Haw River. Conservation buffers surround all the homes in Monterrane. Walking trails start in your own backyard. It’s truly a unique and lovely place for a nature-loving family. 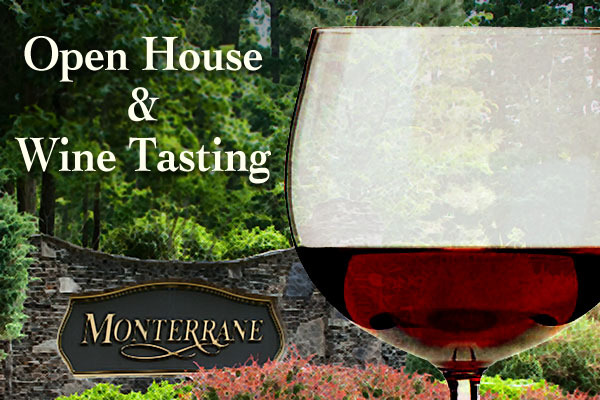 Learn more about the pleasures of living in Monterrane. 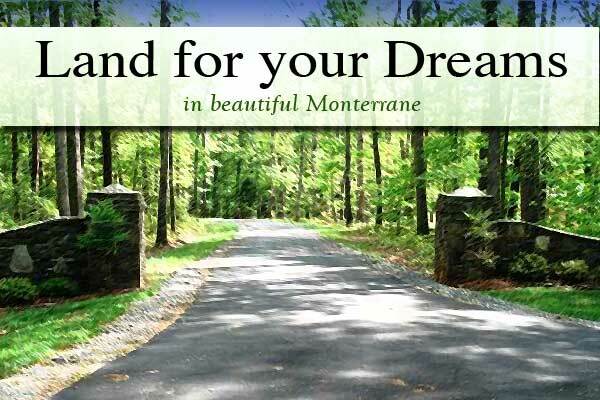 Monterrane puts you close to everything the Triangle has to offer. Whether you’re looking for the small town charm of Pittsboro, the excitement of Chapel Hill or the tranquility of Jordan Lake, it’s just minutes away from your front door.